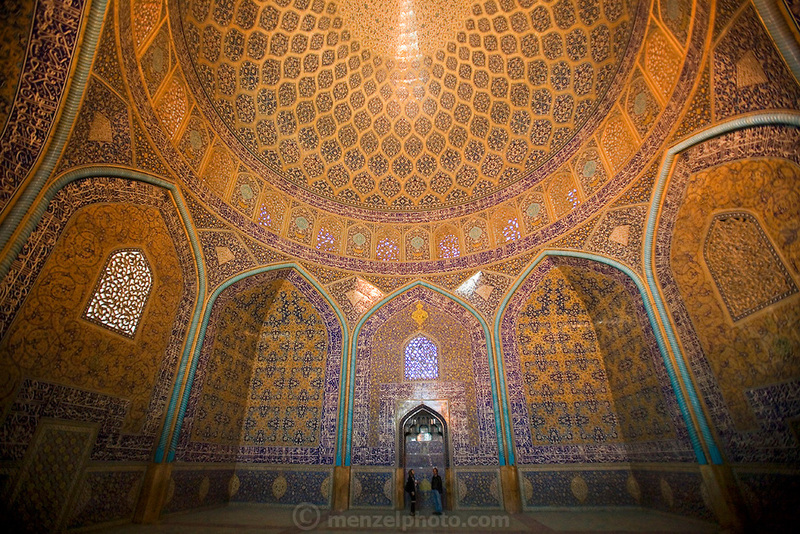 Under the main dome of the extravagently tiled and decorated private mosque Sheikh Lotfollah Mosque, Isfahan, Iran. (Also referred to as Emam Square). (Imam Square is also called Naghsh-i Jahan Square).